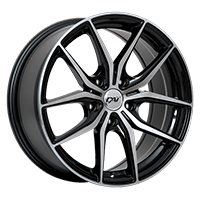 Vredestein Tire offers a wide array of tires for cars and SUVs that provide excellent performances on snow and ice. Vredestein Arctrac for cars and Arctac SUV (available in a factory-studded version) winter tires will be perfect for driving in snowy or icy conditions. Among high-performance winter tires for cars are also the Quatrac 3 and Snowtrac 3. Vredestein offers no tire tailored specifically for pick-up trucks, 4x4s and vans in Canada. However, they have several high-performance winter tires for SUVs such as the Wintrac 4 Xtreme. Thanks to Italian team Giugiaro Desgin’s exceptional contribution, Vredestein has built a unique reputation in the upscale market of winter tires. Fabrizio Giugiaro's stylists, along with Vredestein’s, have created the ideal combination between security and beauty. The wide array of sizes and advanced design allows not to sacrifice the vehicle’s look during the winter. According to the manufacturer, Vredestein winter tires guarantee excellent performances in winter conditions. After the success of Wintrac xtreme and Wintrac 4 xtreme (SUV version), the Wintrac becomes the newest addition to Vredestein’s winter tires. 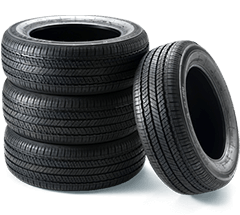 Vredestein Tire offers a wide array of tires for cars and SUVs that provide excellent performances on the road. Vredestein offers no tire tailored specifically for pick-up trucks, 4x4s and vans in Canada. However, they have several high-performance winter tires for SUVs.